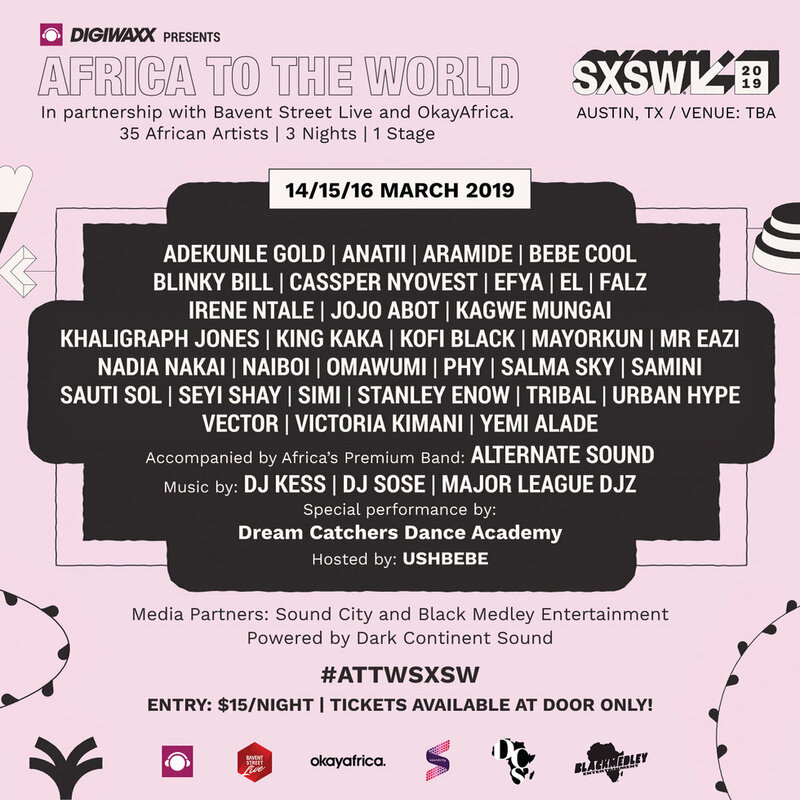 A showcase of 30 African artists over 3 nights at SXSW presented by Digiwaxx and Bavent Street Live with media partner OkayAfrica. OkayAfrica is excited to announce the massive SXSW showcase, Africa To The World, in partnership with Digiwaxx and Bavent Street Live. We will be bringing African music to SXSW like it's never been done before by presenting 30 African artists over three nights (March 14-16) at an undisclosed location for the music festival held in Austin, Texas. The star-packed line-up will feature the best and most buzzing acts across the African continent featuring the likes of Cassper Nyovest, Mr Eazi, Yemi Alade, Falz, Adekunle Gold, Simi, Sauti Sol, Efya, Nadia Nakai, Major League DJz, EL, Stanley Enow, Victoria Kimani, Seyi Shay, Samini, Khaligraph Jones, Anatii, Blinky Bill, Jojo Abot and many, many more. 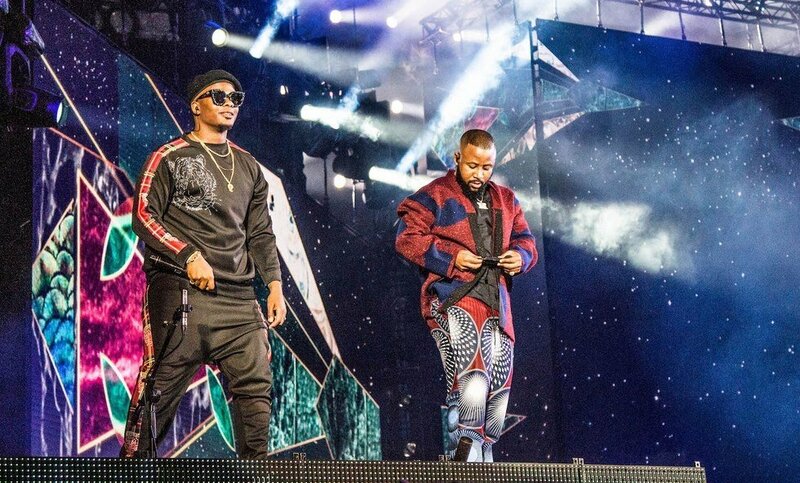 One-half of Major League DJz and Cassper Nyovest. Photo: Sabelo Mkhabela. "The global embracing of African artists and love for the music and musicians out of Africa has been on an uptick the last few years... Notably, over the last four years, the representation of African artists at the renowned SXSW music festival has experienced tremendous growth, thanks to Digiwaxx Media, and W+R Projects who have continually produced showcases featuring African artists," says Hakeem Condotti, CEO of Bavent Street Live. "To continue this momentum, Bavent Street Live has partnered with Digiwaxx Media, OkayAfrica, and Soundcity to offer an unprecedented experience—Africa To The World, a 3 day showcase featuring over 35 talented African musicians, representing 8 African countries, and covering various genres of music including reggae, hip-hop, RnB, and kwaito. Not all music out of Africa is "afrobeats" and indeed this showcase is a true cross section of what Africa's music is about." Additional media partners include Sound City and Black Medley Entertainment. Powered by Dark Continent Sound. See the full line-up for Africa To The World below and click through each artist for their SXSW schedule.